I was recommended this book by a gentleman I used to work with, he found out I liked to read horror fiction and said this one would give me a fright. Sadly he passed away the January before last, so this one’s for him. Thank you for the recommendation Michael, it saddens me to know I will never again read a book on your advice. ‘Jesus Christ,’ Denison heard Weathers say. He stood up, and as the paramedics and police officers and pathologists shifted position, he saw, between and beyond them, the boy that lay spreadeagled on the floor in a pool of blood, torn open, intestines dragged out and over the floorboards. Cambridge is known as a seat of academic excellence, home to one of the most prestigious universities in the world – but sometimes evil lurks in the most unexpected places. 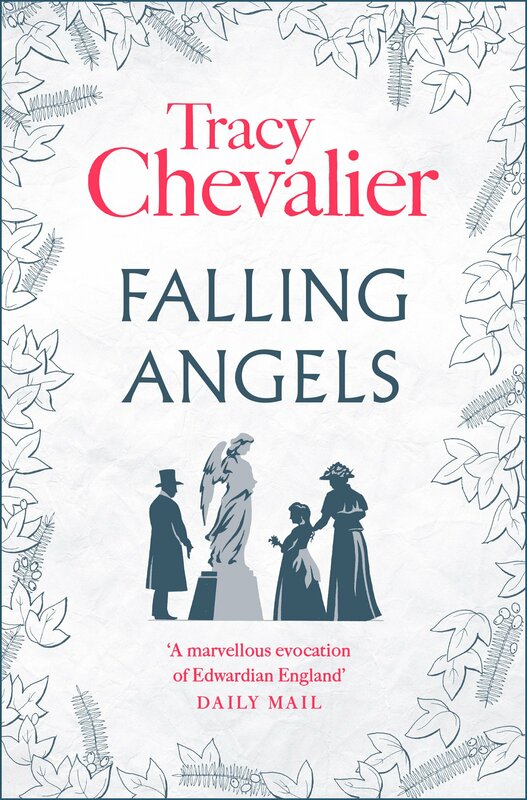 Exams are over and the students of Cambridge University are celebrating, but for one college, the annual May ball takes a bloody turn when a female grandaunt is found brutally murdered in her chambers. Alongside her mutilated body are two further students, Nicholas Hardcastle, found holding the knife frantically stuffing the entrails of the victim back inside her body, and his girlfriend Olivia Corscadden, blood-soaked and completely catatonic. The ‘Cambridge Butcher’ has struck again. It is up to forensic psychiatrist Matthew Denison to attempt to draw the killer’s identity from the troubled mind of Olivia, one the most traumatised patients he has ever worked with. If anyone can hope to solve the mystery of the Cambridge Butcher it is Olivia, if only Denison can get her to remember. She was a pretty girl, Denison thought, even with the black eye and the split lip. Not for the first time he wondered what had provoked this extreme response. Had she really witnessed the murder? Has she herself fought off the killer? Was the identity of the Cambridge Butcher locked away in that broken mind? Twisted Wing is as unputdownable as they come – I wasn’t particularly blown away by the calibre of the writing but the story-telling is second to none. Newman switches between the present and past tense, feeding the reader snippets of information about the Cambridge Butcher. While the novel begins in the present tense, the story itself begins four years in the past, when the Cambridge Butcher’s first victim is found. The book seems to get off to a fairly average start, there are two people found at the scene of the crime, Olivia is sent for psychological analysis while Nick becomes the number one suspect. Having read murder mysteries before I thought it was pretty obvious neither of them would turn out to be the killer. It would be too simple, or so I thought. In reality, the book is far more complex and unexpected than I ever could have anticipated. It is more of a psychological thriller than a run of the mill murder mystery. The murder case is an absolute mystery to the police, and it falls to Denison to work out the answers. The students of Ariel College seem to have formed into an impenetrable unified force; there is an ‘us and them’ mentality, and as such the police are struggling to crack the case. One thing is certain, the murders have been committed from within the walls of Ariel College – somewhere within the carefully guarded group is a dangerous psychopath. It has been four year since the first murder, and they are no closer to finding the killer. It is up to Denison to uncover the identity of the Cambridge Butcher, but he must first work out the true identity of Olivia. I would love to tell you that I found the book scary, but the reality is that I didn’t – that said, I am a hard-boiled horror fan so it takes a lot to frighten me. The book is definitely unsettling, and there were times when I felt disturbed by what I was reading, but I personally didn’t get that much of a thrill from it – sorry Michael. Even so, I consumed the book in a matter of days – only stopping to sleep and go to work. I would recommend you set aside a weekend to read it in its entirety, because you will want to keep reading at the end of each chapter. If you’re a fan of murder mysteries and psychological thrillers I would definitely recommended giving Newman a look in – and if you don’t fall into one of these categories I think it’s fairly obvious this isn’t the book for you. 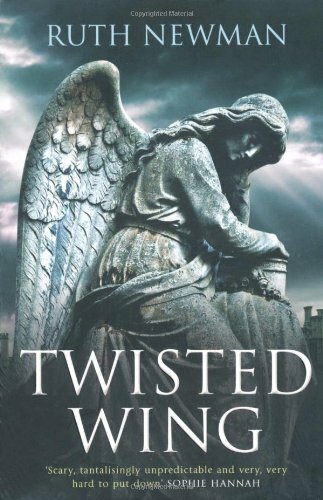 A slight caveat – I did get a little freaked out at one point when I was reading the book, but that was less thanks to Newman than it was to an unknown individual who decide to sell their second hand copy of Twisted Wing on Amazon. One night I was reading in bed when I felt something fall from between the pages of the book, I assumed it was my bookmark and thought nothing of it, until I went to put the book down and found these police elimination prints in my bed. Weird coincidence isn’t it? Why would these be inside a book? The creepiest thing is that they didn’t fall out until I was three-quarters of the way through; my bookmarks always fall out so why didn’t these? Perhaps the old owner put them in there as a bit of a practical joke, or maybe he was just using them as a bookmark (interesting choice). Either way it was unsettling – and slightly exhilarating finding them. My name was Salmon, like the fish; first name, Susie. I was fourteen when I was murdered on December 6th, 1973. My murderer was a man from our neighbourhood. My mother liked his border flowers, and my father talked to him once about fertilizer. But I never bought it. 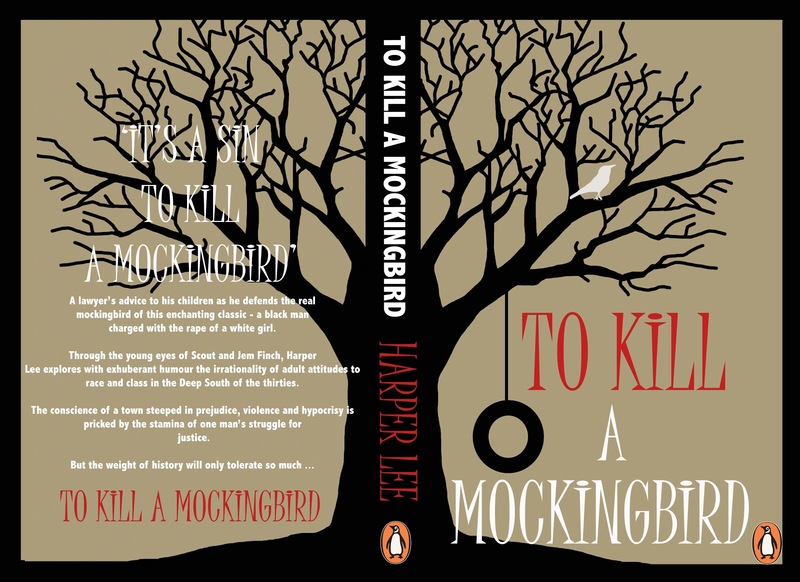 I have obsessed over the idea of this book for the best part of a decade – a story told by the spirit of a murdered girl, however macabre it may sound, is right up my street. I am fascinated by anything to do with the paranormal and spirituality. I wanted to get to know Susie Salmon better; I wanted to read her story. So when my good friend Kate over at The Little Crocodile bought me the book last month for my birthday I was over the moon! 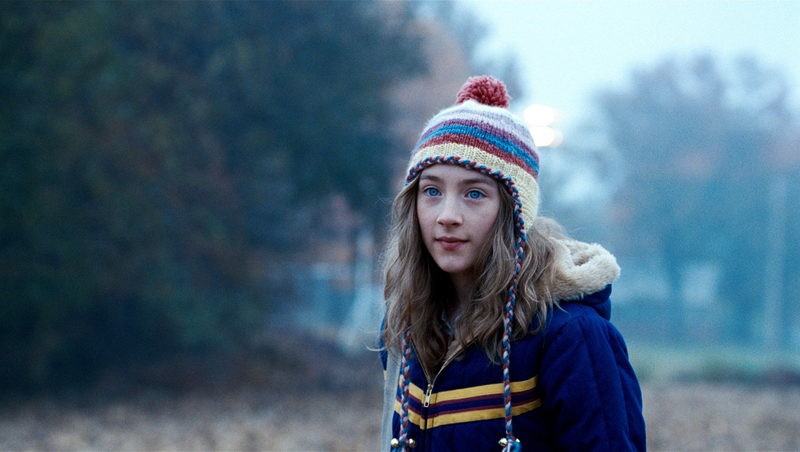 The Lovely Bones is a haunting tale told by the spirit of murdered school girl Susie Salmon. Looking down from her heaven Susie observes her family and friends. She watches the devastation and destruction that her murder causes, rippling through her small town, and shaking the community to its very core. Susie watches her family as they struggle to comprehend life without her, leaving the porch light on well after they know she is no longer coming home. As time goes on, and Susie watches her siblings and friends grow older, she learns that she must let go of her anger to allow those left behind to heal. This book is not for the faint hearted. I become much more emotionally invested in a book than I ever have in film or TV and this one really got to me. I’ve had unsettlingly emotional episodes with books in the past; I grieved for Sirius black after reading Harry Potter and the Order of the Phoenix and Anybody out there? by Marian Keyes threw me into the depths of despair for a good few weeks. This one was different though. Sebold’s writing gave me nightmares, and at some points I doubted whether I would actually be able to finish it. 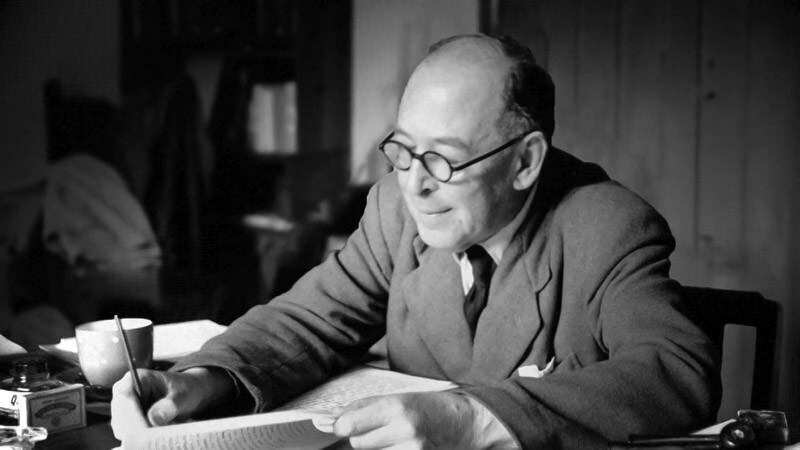 That is not to say that I didn’t enjoy the book – I did. It was everything I hoped for, and a little more. 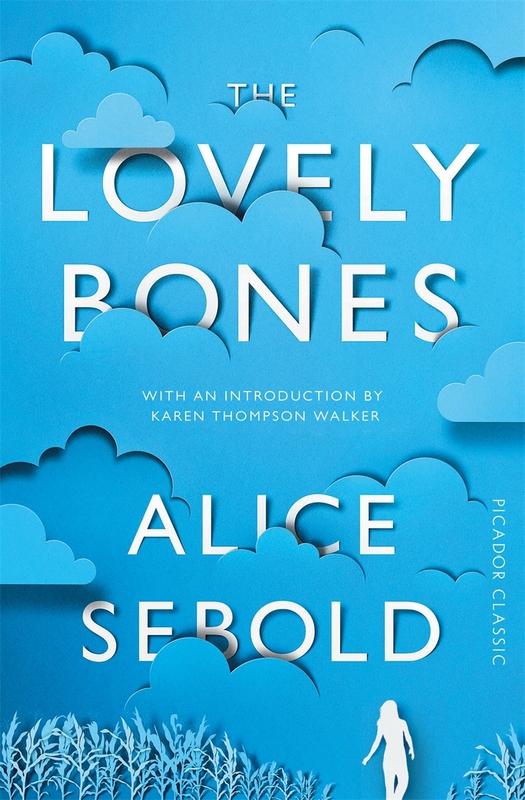 The effect that this book had on me speaks of the power of Sebold’s words – I was upset by Susie’s death, horrified by the circumstances and devastated by the effect that this had on the family. But more than this, I was distressed by Susie’s position in all this, as an outsider looking in on the effect that her death had in her community. She was intercepted by her neighbour on the way home from school that cold winter’s day in 1973; she never made it home. Susie’s story is incredibly moving in that it details her spirit’s journey, still attempting to find her way home after so many years; she may be in heaven, but her true place will always be on Earth. Sebold has taken a story about a murdered school girl and completely turned it around, presenting an intricate analysis into grief and resolution. Fans of crime fiction may be put off to know that there is no secret as to who the killer is, you know him from the start, and if you begin the book hoping for a revelation in which Susie’s killer is brought to justice you will likely feel disappointed. But approach Sebold’s work with an open mind and you will be pleasantly surprised. The Lovely Bones is beautifully written and hauntingly captivating and will leave you quietly contemplating Susie long after you have finished her story. It is difficult to say who I would recommend the book to – so I will simply say that if you feel intrigued by my review, then give it a go. Has anyone else read this book? I’d love to hear from you to find out what you thought. Drop me a line or comment below. I first met George Jerjian last month at the London Book Fair. It was early evening, the time of day when notepads were slipped away and the drinks began to flow. Crates of beer and bottles of wine had appeared and ties were loosened with a satisfied sigh. We made our way around Olympia, stopping here and there to grab a glass and have a chat with this or that person whose books, or drinks, had caught our eye. It was over in the Armenian section that we ran into George who we got to know over a glass of fine Armenian brandy – The kind Winston Churchill favoured, or so I’m told. Jerjian, who was born in Khartoum, Sudan, in 1955, has a rich family heritage that traces back to the former Ottoman Empire. When his paternal grandfather George Djerdjian left his hometown of Arabkir in Ottoman Turkey for the last time in 1907 he left behind a homeland which would never be the same again. On 24 April 1915, Ottoman authorities rounded up, arrested and executed some 250 Armenian intellectuals and community leaders from Constantinople, marking the beginning of the Armenian genocide, the systematic extermination of Armenian subjects living within Ottoman Turkey at the hands the Ottoman Empire. 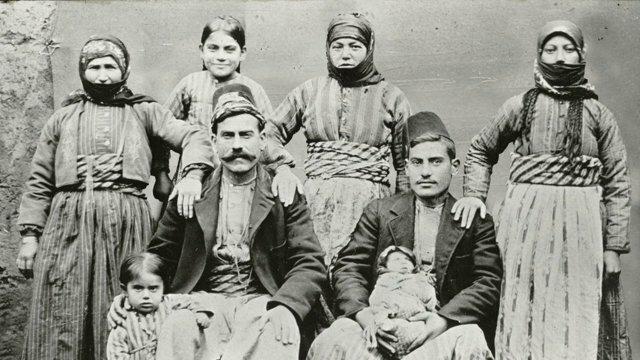 In 1915 the Armenian Population of the Ottoman controlled region was reported to be approximately two million, by 1918 it is estimated that over one million had perished, with thousands more left homeless and without refuge, by 1923 virtually all of the Armenian population had disappeared. 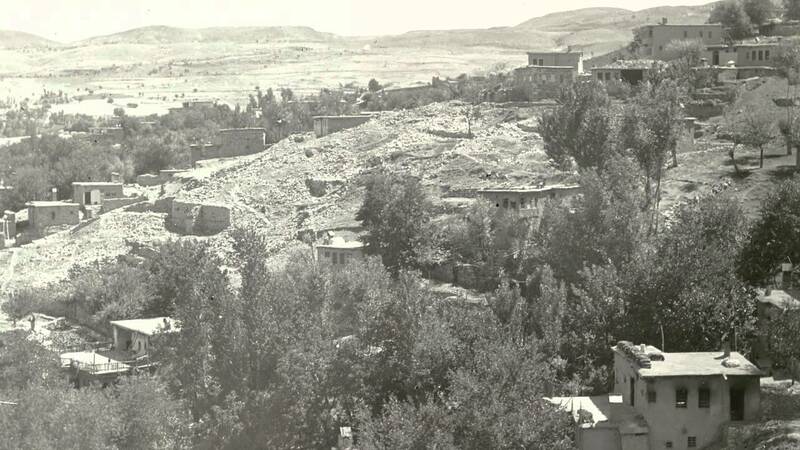 The events of the genocide left Armenian areas of the empire completely devastated, assets were seized, property was demolished, and the historical monuments of the Armenian people were destroyed. Today, little remains of the Armenian society that once existed within the realms of the Ottoman Empire. Let us be thankful that when George Djerdjian left the Ottoman Turkey in 1907 he took a little piece of history with him. Between 1900 and 1907 George Djerdjian took 240 photographs of his hometown of Arabkir and his college town of Erzeroum. For many years these photographs were stored in a grey steel box, dutifully following their owner, and his descendants, on their travels around the world. They travelled from Ottoman Turkey, to Egypt, Sudan, England and the United States. Now, a century after they first left Arabkir, they have finally emerged to see the light of day. Jerjian explains how he came across the photos clearing out his elderly fathers flat; he found a ‘small treasure trove’ of artefacts and photographs. ‘In that box’ he says, ‘were close to about one hundred glass plates, photographs of Arabkir, my grandfather’s home town.’ The photographs were remarkable in that they were pre-genocide, taken of a time which has long been shrouded in mystery. It was fascinating, he said, to go into this world that has long since been extinguished. The photographs depict a life, a community and a place, that has long been lost. In the film accompanying Jerjian’s book Hayk Demoyan, the Director of the Armenian Genocide Museum-Institute in Yerevan, speaks of the importance of the photos not just for the family of George Djerdjian, but for all Armenians. The images, he says, serve as ‘pieces of a puzzle’ which glimpse into the life of the Armenian people before the genocide. The Armenians of Arabkir and Erzeroum had lived in the area for thousands of years; these pictures are not just a snapshot of life at the time, they are the some of the only remaining evidence of the last moments of an ancient civilisation which was about to become extinct. These glass plates have traversed oceans and continents, countries and generations, and today after a century of darkness they have seen daylight. It is extraordinary the distance the plates have travelled and the events they have lived through and emerged out the other side of, to tell the story, not just of George Djerdjian, but also the Armenian people of the Ottoman Empire. 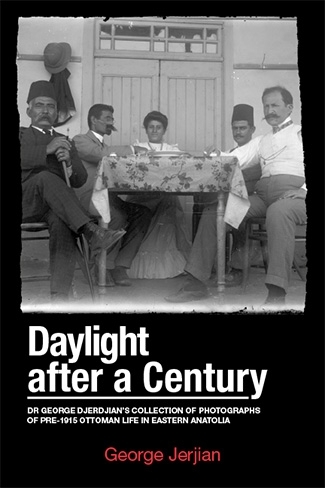 Daylight After a Century serves as a testament to a truly remarkable collection of pictures and a fantastic tribute to their photographer, who could never have known the significance his work would one day hold. If you do only one thing today, please take the time to place your vote. Wild horses couldn’t keep me away from the polling booths. I get such a thrill from exercising my duty as a British citizen, but I know there are a lot of people out there that are not planning on voting – please reconsider. Not agreeing with any particular candidate is not an excuse not to vote. In a general election all votes are counted and recorded in constituencies across the UK, and this includes ballot papers where the voter has not voted for a candidate. Protest votes count – so have your say. Remember that the right to vote is a privilege, and a privilege that was not always enjoyed by all. Don’t abuse it. I’m aware this post is a little out of the ordinary, and so while I’m here let me introduce my newest literary gift to myself. It’s been a difficult week so far and I wanted a treat to cheer myself up. In the spirit of things I chose a book from The Guardian‘s top 10 books about the Suffragettes.